I’m fascinated by memory and the many ways it comforts, shapes, or confounds us. Maybe this was one of the reasons I became involved with Gaelic singing in Cape Breton — I was drawn in not just by the songs themselves but the way they refer to the collective memory of that culture, and are enmeshed with the memories of individuals. But memory plays a vital role in many, if not all, kinds of music; at the most basic level, this is why we are tickled by references to other works. Snippets of one song mentioned in another or quotes from a poem in a novel (‘signifying’ in jazz, and intertextuality in literature) spark associations and call upon our memories of past experiences. 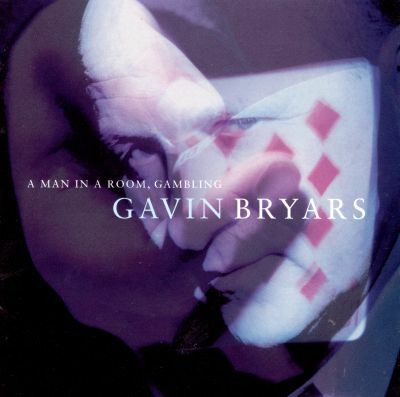 While working at CBC Radio I became familiar with Gavin Bryars and his music, and noticed that memory seemed to be a key feature of many of his works. Back in 1993, he saw his composition “Jesus’ Blood Never Failed Me Yet” climb the pop charts, and he has boxes of letters from listeners telling him how this piece touched them. It strikes me as something which is very powerful, the way in which people use their memory, the way in which memory can distort, the way in which memory can provide information or disinformation, the way memory can provide some kind of consolation or not, the way in which memory can be mistaken. For Bryars, the use of allusion and association is intentional, and this often means that he uses text or other material as a starting point for his compositions, drawing on his own prodigious memory and wide-ranging interests. A personal memory might inspire the concept or structure of a work: in his song cycle Oi Mei Lasso he re-imagines medieval sacred songs; The North Shore is inspired by the landscape near St Hilda’s Abbey in England, and writings by Jules Verne. At other times, Bryars used a pre-existing musical work not as material to quote, but as the basis of his own new one in a more subtle way: his piece Sub Rosa both invokes and is a trope on a composition of Bill Frisell, Throughout (from his recording, In Line), which in the past had provided comfort to Bryars’ nerves during air travel. In his multi-part work “A man in a room, gambling,” textual and musical elements recall each other, and situate the listener both in the work and in an array of external references. Bryars uses these references to confound as much as to illuminate, banking on the fact that memory is notoriously unreliable. The piece consists of ten, 5-minute segments. These are identical in length and describe actions which themselves involve visual illusion and trickery, serving to compound the element of confusion. From section to section there is an inevitable repetition of words and phrases: references to the cards, instructions such as “shuffle”, “with your thumb”, etc., and the framing elements of the spoken section such as the opening “Good evening, and welcome once again to A man in a room, gambling …”. At times it is difficult to remember if you’ve heard this part before. This sense of disorientation spills over into the narrative itself in Programme Nine when the voice announces, “We have lost today’s program somewhere, in some little memory pocket or rather, we have lost the text that we intended to read.” It’s a beautiful self-referential twist and an ironic commentary on the nature of memory. I am not certain if we can ever understand why a particular song becomes a ‘hit’, and why Bryars’ work Jesus’ Blood Never Failed me Yet achieved such notoriety. It does seem clear, however, that there is great power in a piece of music which, even if it springs from a very personal source, taps into both the individual and collective associations of the listeners who experience it. By evoking individual associations though the use of memory, and in creating a common context for individual reference, he gives the listener agency as a participant in the experience of the music. This is an excerpt from the unpublished paper, “Memory in the Music of Gavin Bryars”. ©Stephanie Conn, 2015.